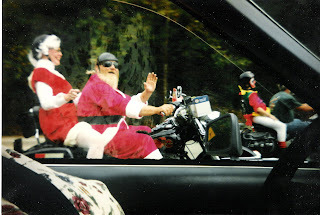 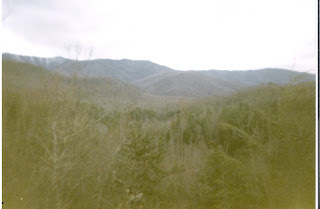 The 4th and final area on my mission was Pigeon Forge, Gatlinburg and Sevierville. 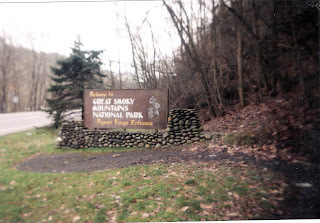 This area was at the foot of the Smoky Mountains. 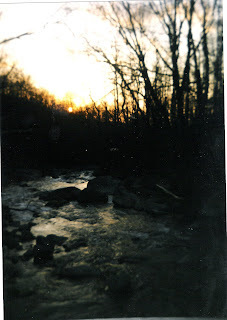 I arrived November 13, 1997 and left June 11, 1998. 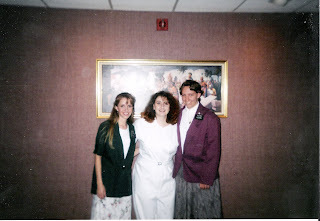 My first companions were Sister Randall and Sister Saunders. 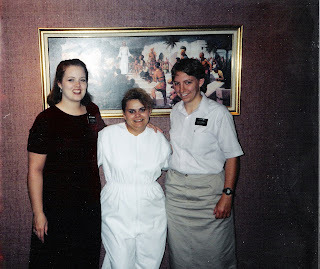 Sister Saunders was transferred in December. 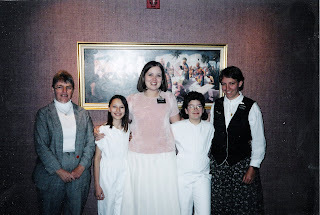 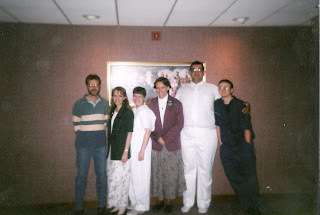 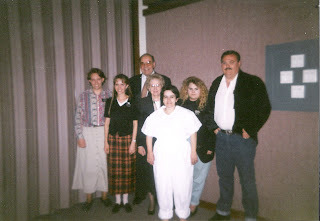 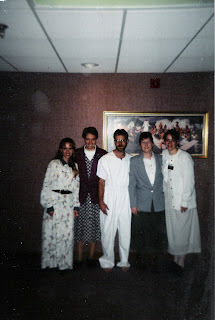 Sister Randall finished her mission in March 1998 and my new companion was Sister Hansen, who was my companion for the remainder of my mission. 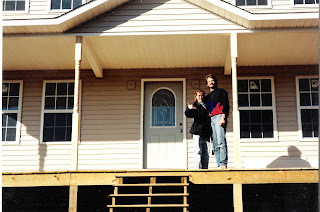 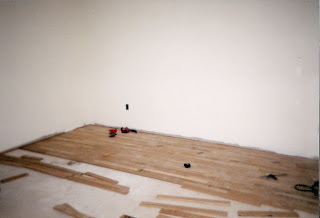 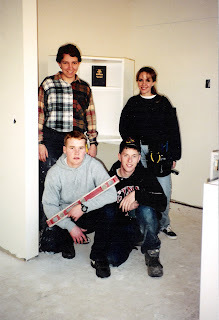 We had the opportunity to help Jim and Rikki Diepeveen with their new house for some service. 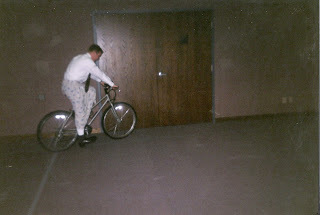 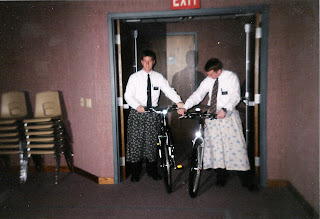 Sister Randall and I decided to give the Elders an idea of what it was like to ride a bike in a skirt. 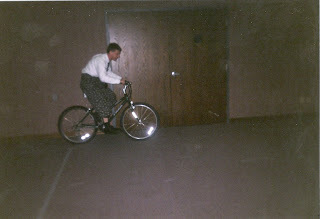 We took a couple of our skirts to one of our meetings and let the them use our bikes. 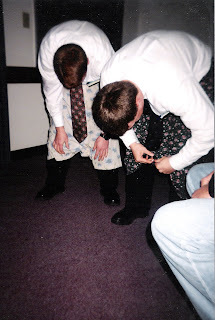 We all got a good laugh from it (even the Elders laughed about it after the fact). 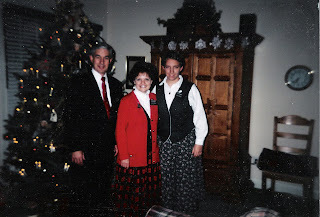 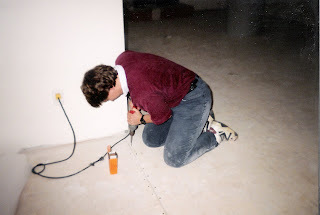 Christmas 1997. 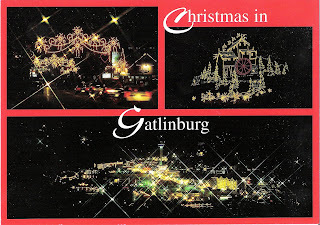 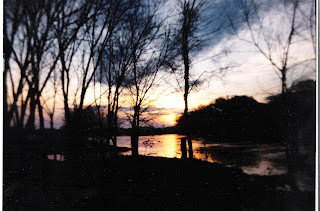 The photos I took did not turn out well, hence the post card I scanned. 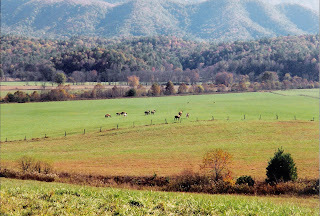 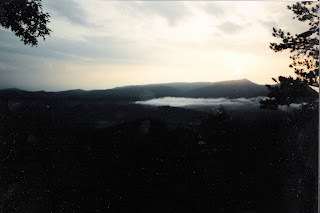 Here are some photos of the Great Smoky Mountains and surrounding area.